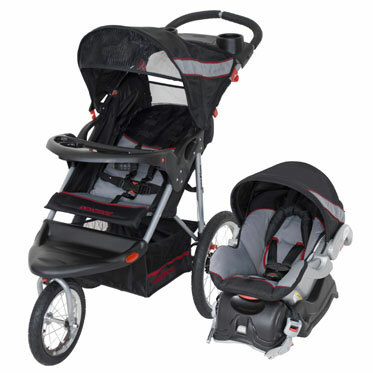 Expedition Jogger Travel System includes top rated fixed back infant car seat with EZ Flex-Loc base. 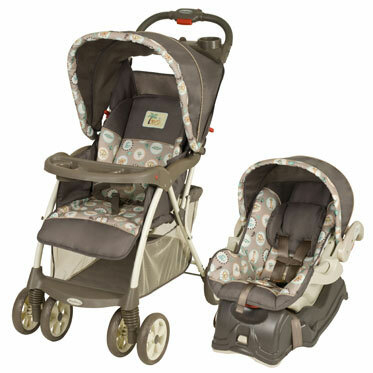 FEATURES Infant car seat accommodates 5 ~ 30 pounds (2.2 and 13.6kg.) 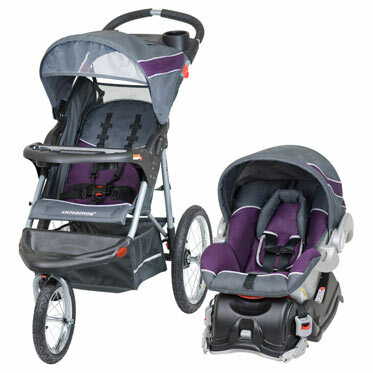 heights of 30 inches or less (76.2cm) Lockable front swivel wheel for ease of maneuverability All-terrain bicycle tires Convenient parent tray includes two cup holders and covered compartment storage Extra wide, ergonomically shaped foam padded handle Adjustable canopy with covered sunroof ratchets to block sun and wind Effortless trigger fold easily reduces stroller to a compact unit Multi-position, reclining, padded seat Fully adjustable 5-point safety harness and tether strap Reflectors on footrest provide greater low-light visibility Extra large storage basket Lightweight steel frame construction JPMA Certified Dimension 22"W x 44"L x 46"H Weight 41 lbs Recommended Use Stroller: Birth ~ 50 lbs or 42" Car Seat: 5 ~ 30 lbs and up to 30"